The final colorway of the Nike Kobe 8 System to drop in 2013 is set to hit stores tomorrow. 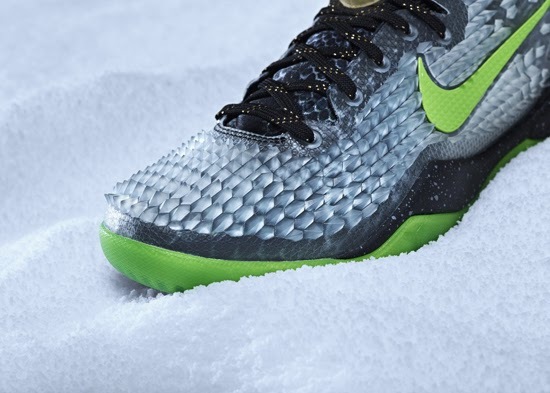 This Nike Kobe 8 System SS is a part of this year's "Christmas" Pack. It comes in a black, electric green, cool grey and metallic gold colorway. 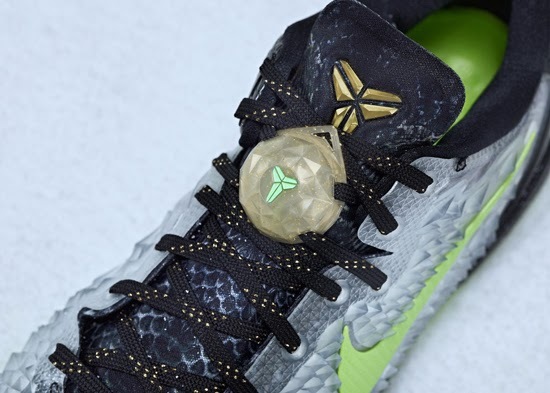 Featuring a unique "shedding snake skin design on the upper in cool grey along with black, electric green and metallic gold accents. Finishing these off is a unique set of lace locks make specifically for this pair. 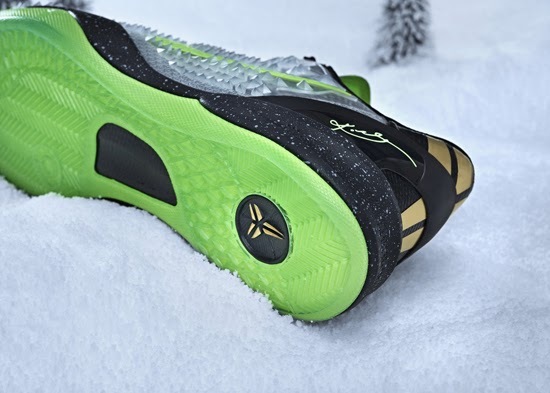 Unfortunately since Kobe Bryant is out with an injury, you will not get to see these on his feet during the Christmas Day game between the Los Angeles Lakers and the Miami Heat. A limited release, look out for these at select Nike accounts worldwide on Thursday, December 26th, 2013. Retail is set at, $160. 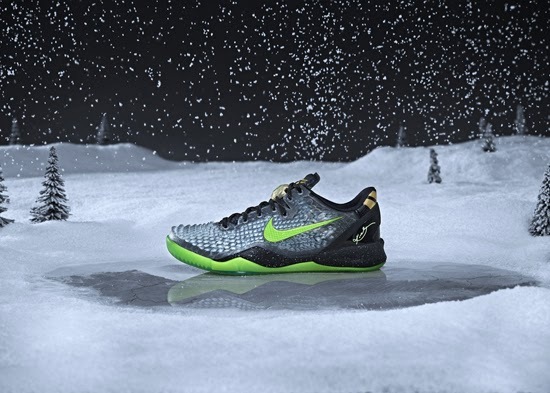 Enjoy the official images below of the "Christmas" Nike Kobe 8 System SS in black, electric green, cool grey and metallic gold. If you're interested in picking these up when they release, check in with your local spots to see if they will be receiving them. Those of you looking for a pair now can, grab them from eBay here.